Say this for the Saw series of self-mutilating slasher pictures: They get right to it. Most of them open with a victim or victims waking up in a signature horrifically violent trap—no stalking or backstory until later, if at all—and proceed straight into parallel narratives involving a gauntlet of survival traps set for those victims and the hard-bitten cops trying to pause the carnage. Even the theme music is identifiable within three notes—the most recognizable in modern horror, at least among people who bother to see Saws. Jigsaw, the eighth installment and first after a lengthy break, breaks out the staccato dun-dun-duns during the opening logo roll. Seven years have passed since Saw 3D called itself the final chapter, but in the Saw-verse, it’s been a full decade since the so-called Jigsaw Killer, also known as cancer-ridden and morality obsessed John Kramer (Tobin Bell), made himself known and subsequently died, back in Saw III. Bell has continued to pop into the sequels through flashbacks and vocal contributions, and sure enough that’s his hoarse old voice hectoring another group of groggy, angry, terrified victims. Among the unlucky people chosen to atone for their alleged sins are levelheaded Anna (Laura Vandervoort), loudmouthed Ryan (Paul Braunstein), blandly competent Mitch (Mandela Van Peebles) and squirrelly Carly (Brittany Allen). Like previous Saw fodder, they’re forced to participate in a series of nigh-impossible “games,” most of which depend on willingness to bear excruciating pain to win (or on nasty, impulsive human nature to lose). As usual, they’re expected to emerge either stronger and reborn, or dead. As bodies pile up, Detective Halloran (Callum Keith Rennie) and Detective Hunt (Clé Bennett) enlist the help of medical examiners Logan (Matt Passmore) and Eleanor (Hannah Emily Anderson) to figure out why all evidence points to the participation of a long-dead serial explainer (and also murderer). The cops and examiners start suspecting each other immediately, seeming as aware as the audience that most Saw sequels are predicated on finding out who is a secret acolyte of Jigsaw or, more chillingly, who might fancy themselves an heir to the sweaty, hulking figure of Hoffman, the poor man’s Jigsaw from the lesser sequels played by Costas Mandylor (spoiler/relief alert: Hoffman is entirely absent from his installment). 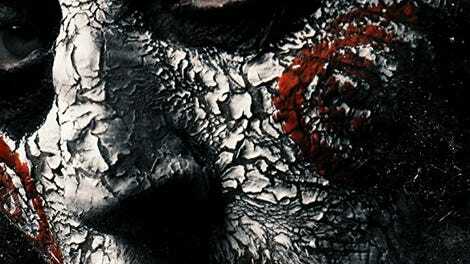 The first installment was something of a locked-room mystery; the rest, more often than not, are locked-franchise mysteries, confined even when they’re outside of Jigsaw’s seemingly endless supply of workshop-ready torture properties. Room for variation in this world is scant; this is a series where Saw VI stands out for Jigsaw’s vigorous de facto defense of public health care. But new co-directors Michael and Peter Spierig offered some semblance of hope through their previous above-average genre efforts, Daybreakers and Predestination. Sadly, Ethan Hawke does not appear here; sadder, all the Spierig brothers really bring to the material is cleaned-up camera work. They favor blues, grays, and, at one point, the oddly warm lighting of a grain silo over the sludge tones and frantic shot-stuttering of the earlier films (originated by a still-learning James Wan, and passed along to the first film’s art director and editor). It mostly looks slickly professional, as opposed to slick with liquefied grime. The Spierigs also have an eye for gore that might be called painterly as well as gnarly. While plenty of bodies are torn asunder, the directors are just as inclined to linger on a lovingly rendered corpse missing 70 percent of its face. Inventive gore is no small matter in a Saw movie; these things can be grotesquely compelling. But despite a new screenwriting team with a background in campier horror (the remakes of Piranha and Sorority Row), Jigsaw doesn’t back its cardboard characters into any truly interesting dilemmas or even darkly funny set pieces. In an early scene, a character has to choose from a trio of numbered needles for a life-saving antidote. She recognizes one of the numbers from a past transgression, and then... screams incoherently until another character screams incoherently back at her and she runs out of time. This is inelegant even by the standards of Saw movies, which are not necessarily known for their elegance. Jigsaw isn’t a series low point. It’s less aggressively unpleasant than some of the others, and comes close to making a winking connection between weirdo John Kramer acolytes and weirdo horror fans when one character is exposed as a frequent visitor to a Jigsaw fan site (over on the dark web, natch). But for all their interest in the dissection of human bodies, the Saw movies resist any further kink. They’re nutty, but too insular to feel properly over-the-top or dangerous. The Spierigs’ previous films showed ambition, and they’ll presumably bounce back (a trailer for their next, non-Saw movie is playing in front of some Jigsaw showings). For now, they’re talented filmmakers inexplicably playing Jigsaw’s game.